But on a day to day micro-level basis, what IT departments are really finding is that, although all of the above is true and to be welcomed, in reality, IT pro’s know that public cloud migration is not an absolute. They still need to support on-site IT infrastructure that runs the workloads that must be run locally, be they legacy or new business applications that for reasons of privacy, policy, or performance - you can’t move to cloud. So they are caught in a trap. 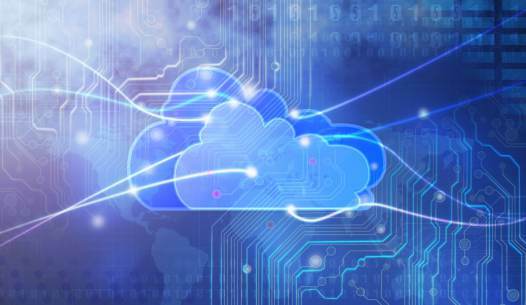 The advent of the cloud, for many mid-size IT departments, has meant more work not less. They now support the old and the new – keeping the on-premises infrastructure alive, and navigating the cloud for the best solutions for their company. And we all know that IT budgets are static, and that teams aren’t growing in size. Most IT pros I speak to want to become a strategic asset to the company and deliver the IT needed to spark innovation and growth, but find themselves overly occupied with just keeping the lights on. Something has to give. What’s needed is a redefinition of the cloud to include servers at the edge of the cloud - on the premises - where they are needed, not just in monolithic data centres in the public cloud. Under this new definition, local servers run local payloads, but operate as cloud resources – delivered as a flexible service and always maintained and kept up to date for you. They run the workloads you need to run locally just like a regular server, but the local IT team can forget about having to operate the infrastructure. Fortunately, solutions are now available that may release IT departments from this dilemma and allow them to become the business enabler that the vast majority want to be. Cloud Managed Servers utilize hybrid IT, hyperconvergence technology, and IT process automation to deliver local server capability with cloud operational characteristics and economics. Cloud Managed Servers control all the infrastructure of the server including hardware, firmware, virtualization and management. By selecting the right Cloud Managed Server an IT leader can now delegate the day to day operation of their server infrastructure, including compliance, security, keep current, backup and disaster recovery to a carefully chosen vendor. This, combined with their ability to deliver process automation across the full-service life cycle, is a game changer, freeing up time and resource to truly make the IT department the strategic asset that they want to be.